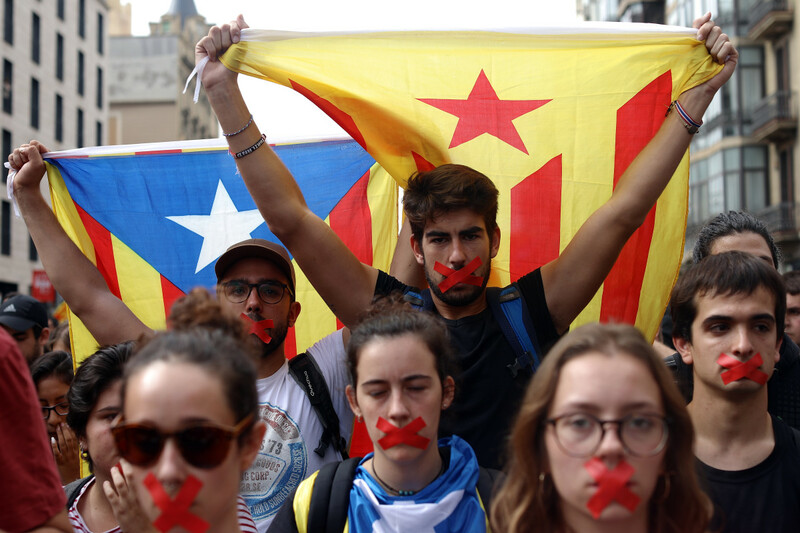 Students hold a silent protest against the violence that marred Catalonia&apos;s referendum vote on October 2nd, 2017, in Barcelona, Spain. 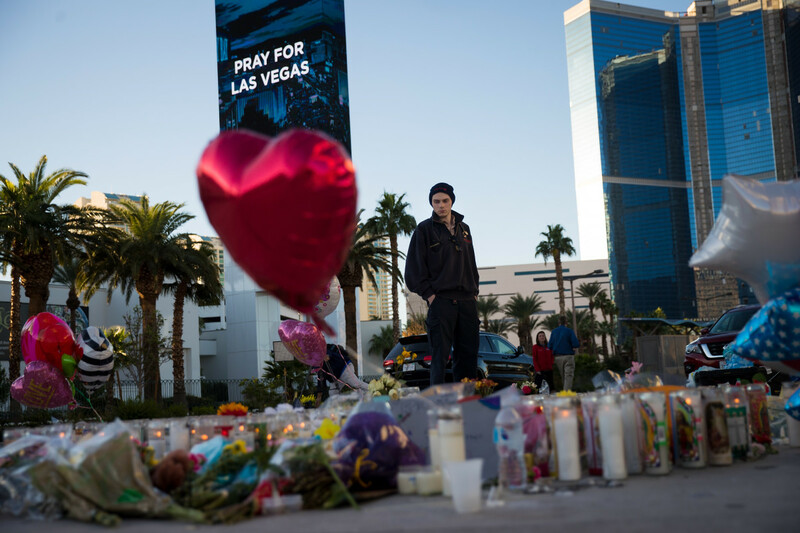 Matthew Helms, who worked as a medic the night of the shooting, visits a makeshift memorial for the victims of Sunday night&apos;s mass shooting on the north end of the Las Vegas Strip on October 3rd, 2017, in Las Vegas, Nevada. 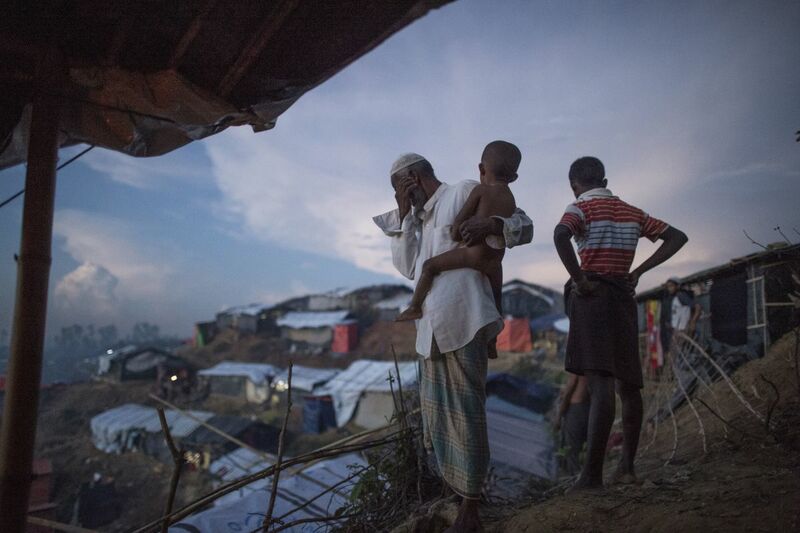 Rohingya Muslim refugees look at the hundreds of tents filling a refugee camp in Bangladesh&apos;s Ukhiya district on October 4th, 2017. 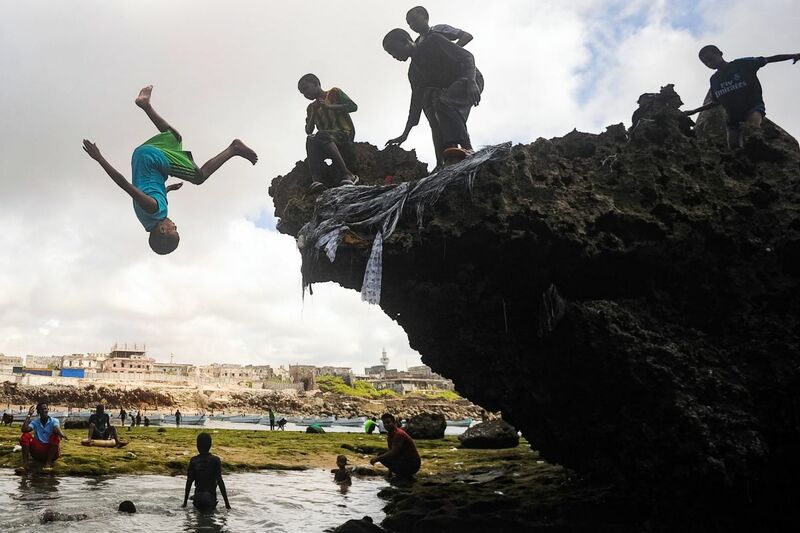 Somali children dive, play, and swim on the seashore of Hamarweyne district in Mogadishu, Somalia, on October 6th, 2017.